Band Baretha is a bird watcher’s Paradise. 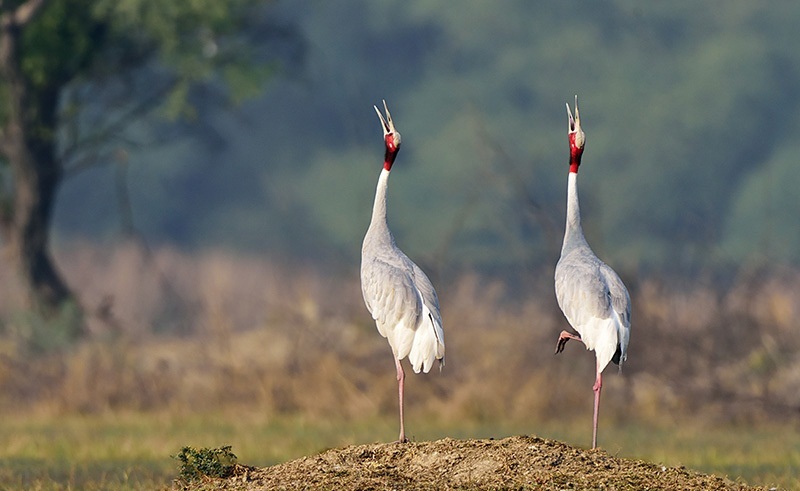 Bharatpur is a famous historical city of Rajasthan, as well as the most famous bird sanctuary in the country. This bird sanctuary is no less than a paradise for bird lovers, spread over 29 sq km. This place included in the World Heritage List, is also inhabited by migratory birds. Bharatpur city was founded by Jat ruler Raja Surajmal. The temples, palaces, and forts of Bharatpur are a testimony to the efficiency of the Jats. 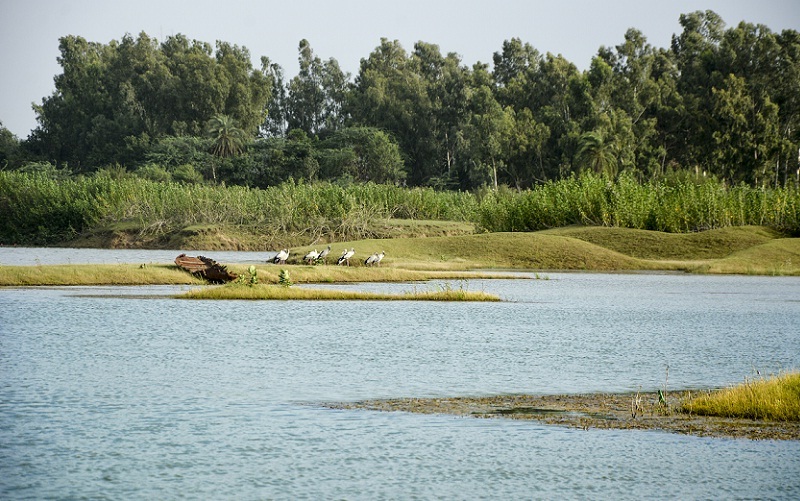 Bharatpur National Park is also known as Keoladeo Ghana. Here you can see 375 bird’s species. This is also a shelter of migratory Bird. Along with this, Ganga Mandir is beautiful Mandir of the city. Ganga Maharani Temple was built by Maharaja Balwant Singh ruler of Bharatpur. The fine and beautiful carvings of the temple walls and pillars are worth watching. Laxman Temple, Laxman Temple was built by Maharaja Balwant Singh in 1870. The statue of Laxman ji and Urmila ji are set in the main sanctum of the temple. Apart from these, small statues of Ram, Bharat, Shatrughan and Hanuman ji can also be seen here. This temple is famous for beautiful carvings on stones. On 13 March 1976, this region was declared as Bird Sanctuary. Keoladeo National Park was declared a World Heritage In 1985. Keoladeo Bird Sanctuary was the personal duck hunting of the Maharajas of Bharatpur. Here Ajan Dam was constructed by Ruler Maharaja Surajmal of Bharatpur. This dam was built on the confluence of two rivers, Gambhir and Banganga. 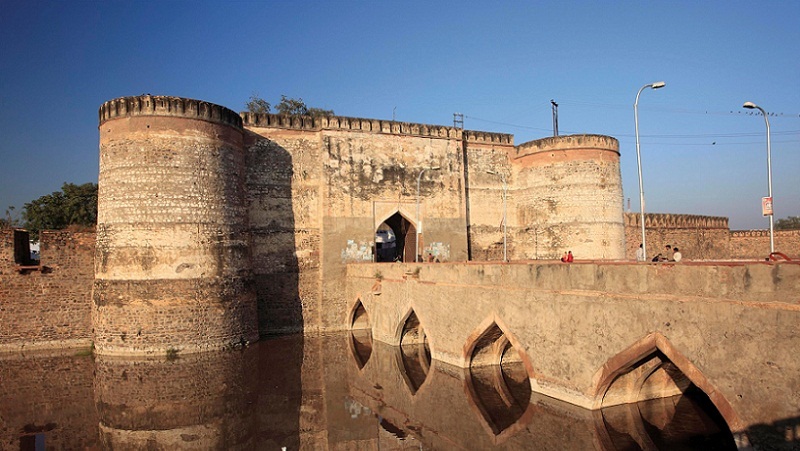 The fort of Lohgarh is said to be the only invincible fort of India. No one can ever win this fort made of clay. There is a thick wall of clay around the fort. This fort was built by Jat ruler Raja Surajmal. He imagined a fort which is very strong and ready in less money. At this time the use of guns and ammunition was high. Therefore, a special device was used to build this fort so that Gunpowder shells Ineffective on the walls. The British attacked 13 times for taking this fort in their empire but they could not distinguish this fort. This gate is made of eight metals. One more interesting thing about the fort is that there is not a fraction of iron in it. It was known in the name of Lohgarh due to its Impenetrability. The spectacular palace was made in Rajput and Mughal architectural styles Bharatpur Palace reveal the rich legacy of Rajasthan history. This is main central wing houses the museum, which has a marvelous collection of beautiful sculptures, ancient inscriptions and other displays which reflect the art and skill of the people of the region. Due to the highly sophisticated and richest designs on the walls of this palace and spacious chambers, this place is considered to be a great souvenir. One can also witness the ancient items which have been at this place from the 2nd century. One of the famous places that draw tourists are ‘ Band Baretha’ located in the Bayana Tehsil of Bharatpur. Copyright © Band Baratha 2017. All rights reserved.